Franklin Gaudi is a Cal Poly alumnus and a Project Manager for the Irrigation Training and Research Center (ITRC). He teaches courses in Irrigation Water Management (BRAE 340), On-Farm Irrigation Systems (BRAE 440), Landscape Irrigation (BRAE 337), AutoCAD (BRAE 151), and Careers in Agriculture (BRAE 128). 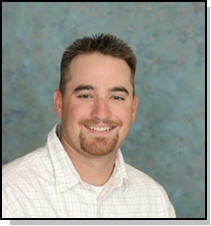 He also teaches many of the irrigation short courses taught in the summer through the ITRC. Franklin holds certifications through the Irrigation Association (IA) as a Certified Irrigation Designer (CID) in surface, drip/micro, and sprinkler, as a Certified Irrigation Contractor (CIC), and as a Certified Agricultural Irrigation Specialist (CAIS). He is currently serving as a member of the Irrigation Association Certification Board where he assists with maintaining existing certifications and developing new certifications. Franklin is also recognized through the American Society of Agronomy (ASA) as a Certified Crop Advisor. Franklin’s current areas of interest are utilizing domestic wastewater for agricultural forage crops and landscape irrigation design and auditing. Through research and projects at the ITRC, Franklin is able to bring experience including real-world problems and solutions into the classroom.